Good oral and dental hygiene are essential to keep your mouth and teeth healthy, and can prevent health issues from occurring. Many studies have shown a connection between an unhealthy mouth and diseases that affect other parts of the body. It goes without saying that regular brushing and flossing should be a starting point for maintaining a healthy mouth. Plaque deposits can build up around the teeth and gums, creating an ideal breeding ground for bacteria. Poor dental hygiene has been shown to have all kinds of unwanted effects outside of the mouth too, including heart problems, digestion problems and even Alzheimer’s Disease. This is because a build-up of bad bacteria has the potential to travel to and affect other parts of the body. Consuming certain food and drink like tea, coffee, red wine and curries can also stain the teeth. Combining this with poor oral hygiene can mean bad breath, unsightly teeth, decay and gum disease. Thankfully, a dental hygienist visit can remove the tell-tale signs left behind by these foods and drinks, while a good oral hygiene routine will help to tackle bad breath and prevent gum disease. 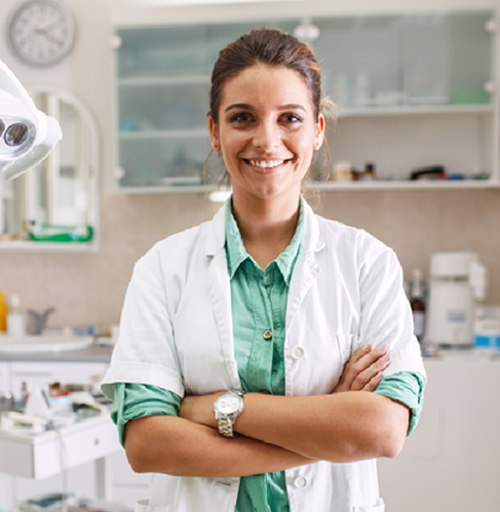 Regularly visiting your dental hygienist plays a vital part in maintaining a healthy mouth and preventing gum disease, as they can advise you on how to better look after your oral health. During your visit, our dental hygienist will perform a scale and polish of your teeth to remove tartar build up on your teeth and polish away stains left by everyday foods. Why not book in for a dental hygienist appointment with us today – your mouth is sure to thank you for it.